I'm not sure of the animal. Judging by the droppings I'd say either mice or flying squirrels. I'd need the picture zoomed in more to say for sure. Regardless of who the culprit was, the insulation will have to be removed and replaced. 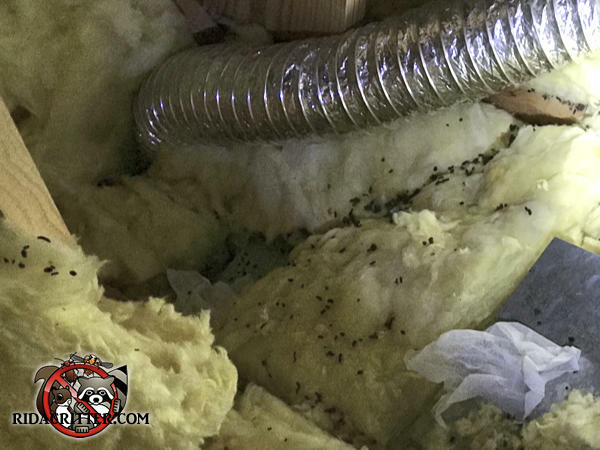 To learn more about contaminated insulation removal and replacement in the Macon area, please click here.